Nuru Pleasure PU Bed Sheet 220 x 230 cm. A high quality polyurethane coated sheet on an elastic fabric. This sheet is totally NOT comparable with starters plastic PVC sheet also available in our webshop! This sheet is big enough to stick it left and right under the mattress so it stays in place during exciting Nuru Body-to-Body Massage. Recommended for 160 x 200 cm mattress size. This sheet is also available in the size 220 x 250 cm for larger mattress sizes. Sheets and pillow cases of this PU material are frequently used in the medical sector such as hospitals and care institutions. Washing is allowed at 95 degrees and in about 5 minutes the sheet is dry just on the clothesline. Ironing is NOT necessary, never wrinkled, no wrinkles or creases. You will enjoy this purchase for a long time! Polyurethane coated on an elastic fabric. Therefore Bi-elastic: very strong and very smooth. Pleasant lying comfort, feels very soft. An anti static and anti bacterial product. 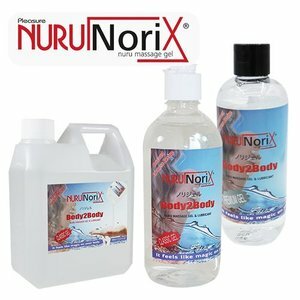 Ideal to use for a Nuru Massage. Can also be used for a massage with massage oil. Breathable but not water permeable. Feels less cold than plastic PVC sheet. Washable up to 95 ° C.
Also fully washable with disinfection products used in the care sector. After washing the cloth is almost immediately dry in about 5 minutes on the clothesline. Iron-free! Never wrinkled, no wrinkles or creases. Fire retardant meets the CRIB 5 fire standard. Made from one piece so no seams. Color: without elastic Navy blue. Color with elastic Beige.